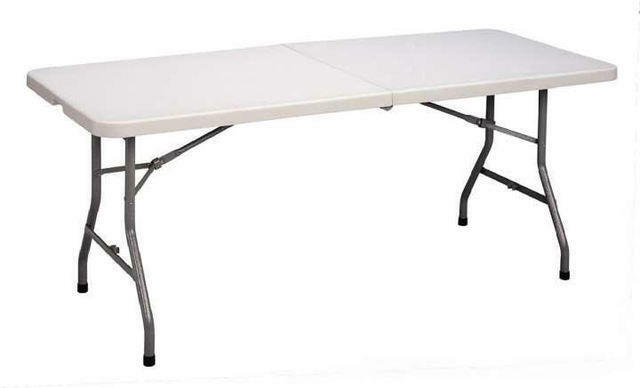 Make sure there is a spot for everyone to sit at your party or event and add some folding banquet tables to your order today. Each of our tables are 6' in length. Please note that we only rent these with an inflatable jumpy house, water slide or slip n slide. Call the number to the top right of the page for pickup options if you're not going to rent an inflatable.